Award-wining South Korean novelist Han Kang, 47, has released a short novel, "Farewell," her first work since winning the famed Man Booker Prize in May 2016 with the cult novel "The Vegetarian." "Farewell" was included in Literature and Society's quarterly publication that hit domestic bookstores on Nov. 24. 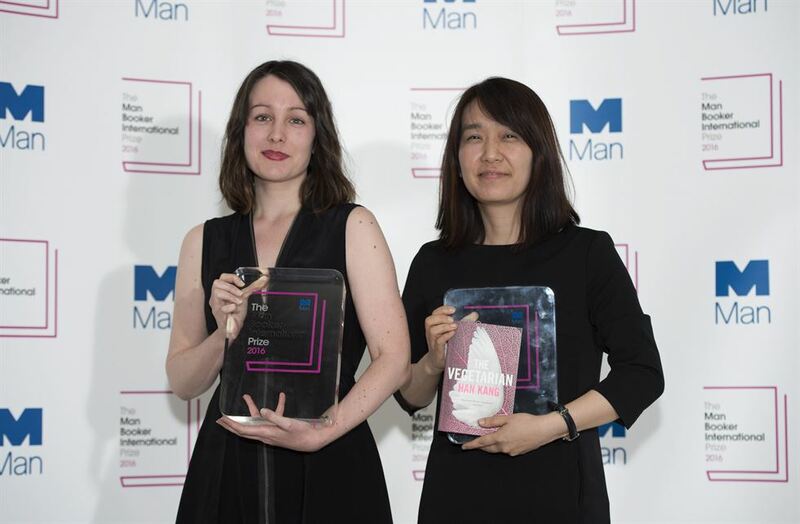 "This is the first time the author Han Kang has announced a novel after winning the Man Booker Prize in May 2016," Moonji Publishing Company said on Thursday. "Farewell" is about a woman who turns into a snowman while dozing off on a bench in front of her house. She looks back on her arduous life before her whole body melts. The woman is a single mom who gave birth when she was 24. She prepared a detailed short and long-term life plan and saved money in her son's college fund from several small jobs. But she did not have a retirement plan. She cut it fine but those moments were unforgettable for her as she remembers the pure love she felt during her son's first birthday. "The story addresses the sadness and pain people feel by using the theme of snow. Snow can crumble away in a second, even with a small push," Choi Ji-in, the editor of Literature and Society, said. "The Vegetarian" was about a woman who believes she is turning into the tree. The book was translated into English by Deborah Smith, a British translator, and published by Portobello Books in 2015. It was later released in the United States by Hogarth. The book received the praise of critics worldwide and was included in Time's mid-year list of best books in 2016.